Format: Rabbits Run: Matted Widescreen. Looney Looney and Center Stage: Full screen. Language: Rabbits Run: English & Spanish. Looney Looney and Center Stage: English & French. Foreign Language Subtitles: Rabbits Run and Looney Looney: English & French. Center Stage: English, French, and Spanish. CC: Yes. Main features only. SDH: Yes. Main features only. Audio Format: Rabbits Run: English & Spanish 5.1 Surround. 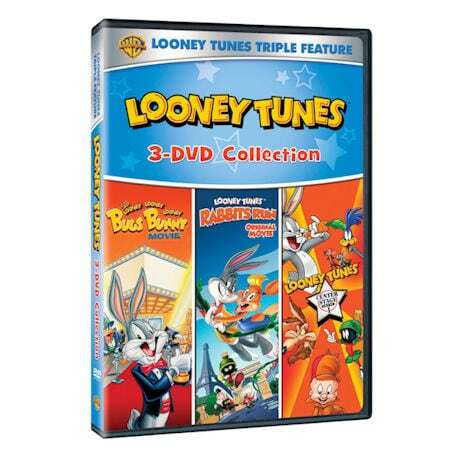 Looney Looney and Center Stage: English and French Mono.